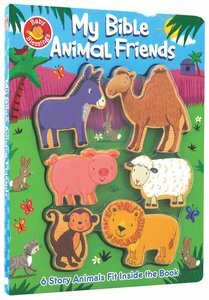 Interactive fun for the very young, featuring six animal character pieces that can be fitted into their places in the Bible stories inside the book! Ages 2-4. About "My Bible Animal Friends"